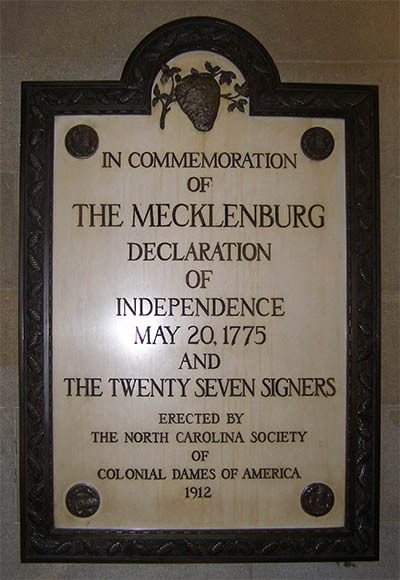 In 1912, the Mecklenburg County Committee of the NSCDA-NC placed a plaque in the rotunda of the state capitol commemorating the Mecklenburg Declaration of Independence. 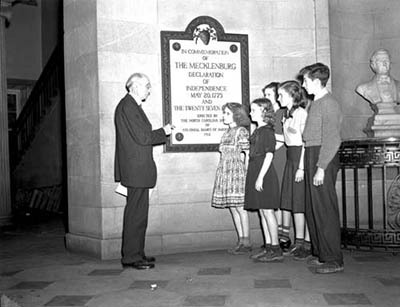 Legislative assistant George Snell makes use of the plaque to give visiting students a history lesson in 1939. In July of 1904, the Wake County committee of the Society purchased President Andrew Johnson’s birthplace for $100. The committee moved the building to Pullen Park to be maintained by the city of Raleigh as a memorial. There, the house was restored and opened to the public in 1940. 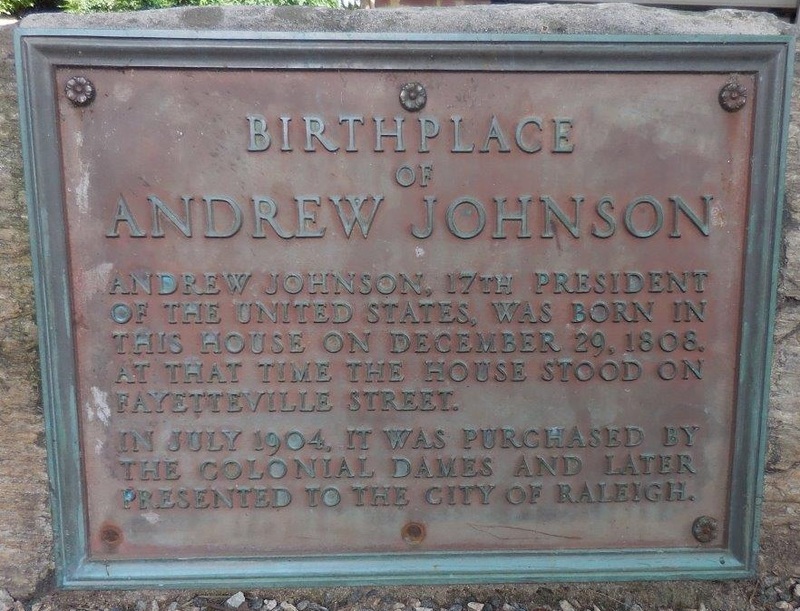 Johnson’s birthplace stands today in Mordecai Historic Park near downtown Raleigh.